The iPhone 7 and 7 Plus helped Apple reverse a three-quarter sales decline. The number 7 was lucky for Apple, as worldwide sales of the iPhone 7 and 7 Plus hit a quarterly record and put the breaks on a three-quarter revenue skid, the company said in today’s first quarter earnings report. Apple saw a 5 percent revenue increase ($54.3 million) with more than 78 million iPhones sold. It was the first full quarter of the iPhone 7, delivered during a time of year that typically generates the best sales figures for Apple because of the holiday shopping season. The growth in iPhone sales was slightly higher than the 3 percent many analysts had predicted. While some believe the smartphone is near its final form factor, Apple CEO Tim Cook assured investors during Tuesday’s earnings call that the iPhone has considerable room for innovation. Apple launched the latest generation of its flagship product in September. Some critics saw the iPhone 7 series as not enough of an upgrade from the 6s line. Some, especially music lovers, initially hated the absence of a headphone jack. Yet sales proved robust, thanks largely to upgrades to the camera, which garnered early rave reviews from professional photographers who got advance iPhone 7 Plus handsets. They used the devices to shoot high-profile sporting events and Hollywood portraits, proving Apple’s latest phone could deliver the goods. 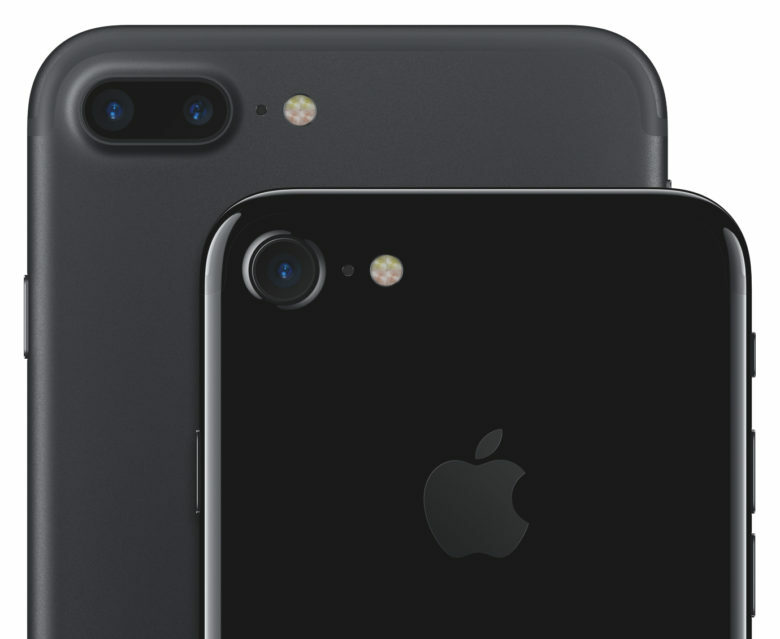 The iPhone 7 Plus became especially popular with photographers because the larger handset included a dual-camera system with a first-ever-for-iPhone optical zoom. An iOS update added Portrait Mode, which blurs backgrounds in pictures to simulate a shallow depth of field and make subjects in the foreground stand out. Cook suggested first-quarter growth could have been higher had Apple not been caught off-guard by the high demand for the iPhone 7 Plus. Supplies only recently caught up with the number of orders, he said. Cook, who was accompanied by Apple CFO Luca Maestri on the conference call, said the iPhone also hit new records for upgrades and users who switched from Android. Even in a market like China, where currency exchange issues have limited Apple’s growth, the iPhone 7 was the highest selling smartphone. It was also the most popular brand, according to Cook, on Alibaba, China’s biggest e-commerce company. Analysts are watching 2017 with great interest because it is the 10th anniversary of the iPhone. With the milestone comes expectations of an even better iPhone 8 to mark the occasion. Cook unsurprisingly offered little on what the next iPhone might look like, but some analysts have speculated that many iPhone 6s users are holding out for the iPhone 8, which is expected to be Timothy Arcuri believes the excitement around the iPhone 8 will spark a surge in upgrades. He told Business Insider recently that 43 percent of the iPhones in use will be older than two years this summer, which should mean updates in the tens of millions.